I must have been really good this year, because Santa already gave me what’s been on the top of my wishlist for ages — a physical ELOQUII store in NYC! Okay, so it might only be a temporary pop up (for now), but it still counts in my happy sartorial heart, because from now until December 31st, I finally have the ability to easily shop my favorite brand in person. With 2,500 square feet of fashion, it’s no surprise that all the NYC-area bloggers — myself included — who stopped by during the private launch were majorly excited to be able to finally be able to try on pieces in person. 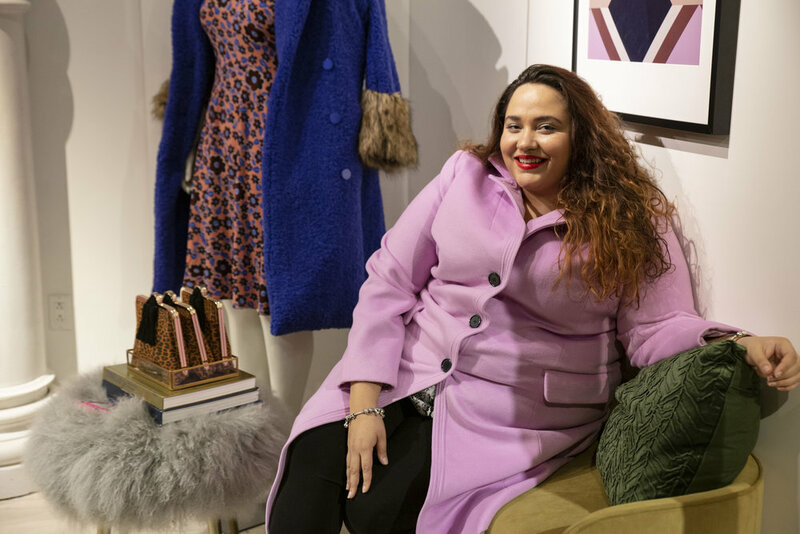 “I’ve waited so long for ELOQUII, a brand I’m loyal to due to style aesthetic and fit compatibility, to enter the New York market with a brick-and-mortar store. To do so as the only standalone store dedicated to plus size fashion in the SoHo shopping district is just incredible. Finally, a store I can feel good shopping in because everything fits me. Fingers crossed they stay permanently,” said Makeda Saggau-Sackey of Glamazon Diaries. In between sips of champagne and nibbles of cupcakes, we all took turns trying on pieces from the newest collections (including some styles that haven’t even launched on the site yet). It was a challenge to not drag the entire store into the dressing room with me, so I decided to try on a few of the pieces that I had been drooling over online, including this stunning sequin and pearl blazer, a fabulous faux-leather double-breasted dress (that could easily do double duty as a coat), this shimmering leopard-print blazer & pants, and a perfect plaid suit set that I just had to purchase! I find it so amusing that I used to loathe wearing suits when I worked in a corporate job, but now that I can finally wear anything I want, I want to wear all the suits! I was joined in the spacious and well-lit dressing rooms by other bloggers and a super helpful and friendly staff. 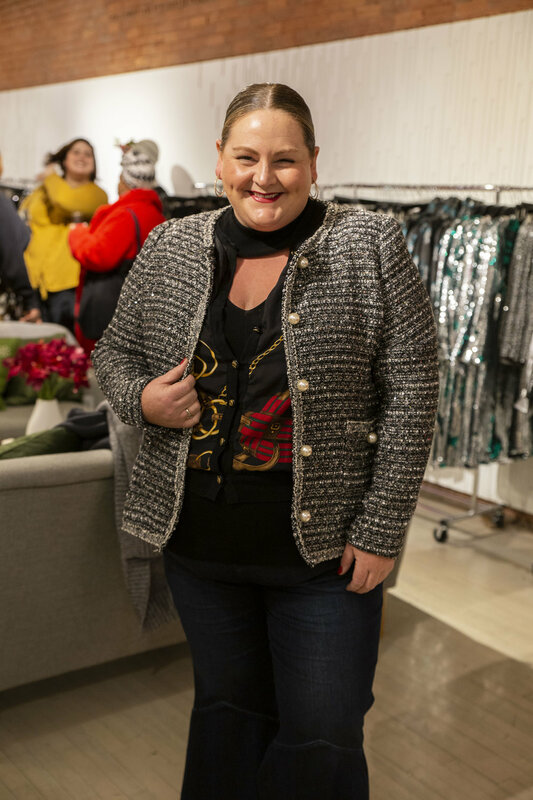 Since we’re all so fashion-focused, we knew exactly what we wanted to wear and how to style it, but if you’re not as style-savvy, ELOQUII has stylists in store to help you! You can easily book a complimentary styling session (also available at any other ELOQUII stores), or if you can’t get to a store, you can even send an email to style@eloquii.com to set up a virtual styling session! Not only can you get a free styling session in store, there are also a bunch of events happening in December. Check out the other post about all the fun things that will be at the store, and make sure you RSVP so you don’t miss out!